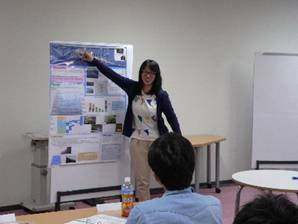 It is our general education policy that the SOKENDAI fosters young researchers who have a broad perspective, high-level expertise, logicality and technique. At the same time, the university offers interschool/departmental education programs that meet new academic wishes and development. This program, being open to any students, includes the courses that let students cultivate their self-initiative towards research and wide perspective of various field of study and those intensive courses that make a firm basis for high-level expertises of specialty. 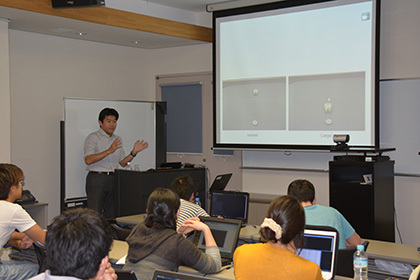 http://sbsjp.nips.ac.jp/eng/ SOKENDAI, The Graduate University for Advanced Studies, is a university providing doctoral programs to foster first class researchers based in its affiliate Inter-University Research Institutes ( IURIs), pursuing cutting-edge researches. Furthermore, it plays a vital role in developing new academic disciplines by collaborating with a broad range of scientific fields. To implement this concept, we set up Brain Science Joint Program as a model case of the interdisciplinary education system initiated by Dept. 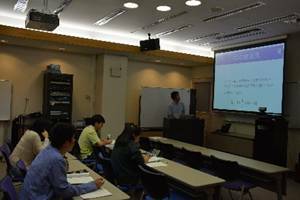 Physiological Sciences and created a new curriculum for SOKENDAI students to learn extensive fields in Brain Science with the cooperation of other related Departments (Basic Biology, Genetics, Informatics, Statistical Science, Evolutionary Studies of Biosystems). All lectures are being delivered by Remote lecture system, which enables students to attend from the distant Departments. We cordially expect your active participation from various backgrounds. http://ibep.nips.ac.jp/eng/ Extensive progress in genome science in the past century has yielded a huge amount of genomic information about a large variety of biological organisms. As a result, the post-genome stream in this century has brought about a number of post-genome projects, including a cyclopedic protein structure determination project (Proteins 3000), and produced new fields of science, such as proteomics, bioinformatics, and systemsbiology. To foster the development of young researchers who can contribute to the future of biology in connection with these recent developments, we need a new graduate program that promotes interdisciplinary and integrative views of biological processes, covering not only biological but also physical, mathematical, and information sciences. 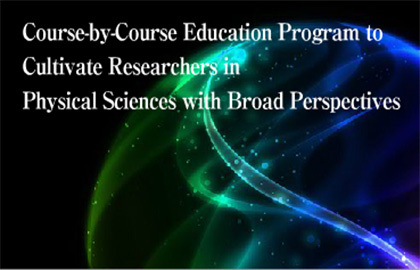 A new curriculum of Integrative Bioscience thus has been developed and implemented in this program, utilizing notable features of SOKENDAI: graduate school education at cutting-edge national research institutes in diverse fields. The historical and cultural resource management course provided by this program offers a curriculum with the aim of developing historical and cultural resource management capabilities required by researchers in both the Humanities and Sciences through lectures and exercises related to advanced historical and cultural resource studies such as methods for reading diverse historical and cultural resources, analysis using advanced scientific methods, recording and scientific preservation management of historical and cultural resource information, and research presentations using historical and cultural resources.